Preheat oven to 200deg. Place tomatoes, (vines attached) onto a large baking tray, and season with salt and pepper. Scatter the garlic cloves, thyme sprigs and bay leaves over tomatoes and roast for 25 minutes until the tomato skins are slightly browned and split. Remove vines from tomatoes after they have been cooled for a couple of minutes. Place tomatoes into a frying pan with a pinch of salt and pepper and a splashing of red wine vinegar. Squash tomatoes and stir, simmering for approximately 15 minutes or until the tomato mixture has thickened and has a smooth consistency. Cook pasta according to packet directions in a large pot of salted (optional) boiling water. Drain pasta and add a cupful of the cooking water to the sauce to loose. 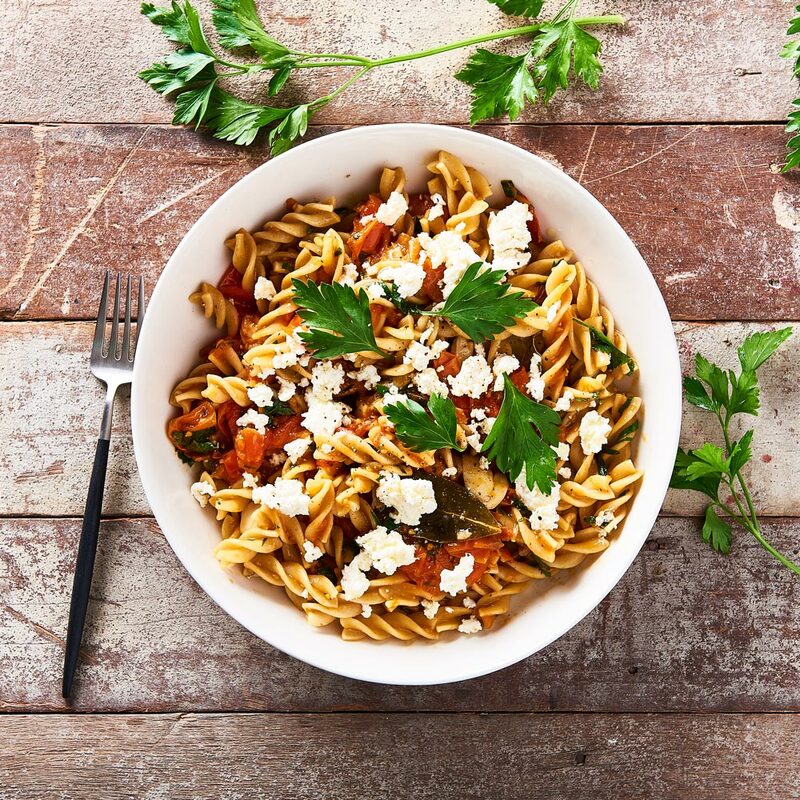 To serve, drizzle generously with olive oil and sprinkle with ricotta and basil leaves to taste.